WILLEMSTAD - Many Curaçao residents are expected to turn out on Good Deeds Day to do good for the benefit of others and the planet, putting into practice the simple idea that every single person can do a good deed, be it large or small, to improve the lives of others and positively impact the world. 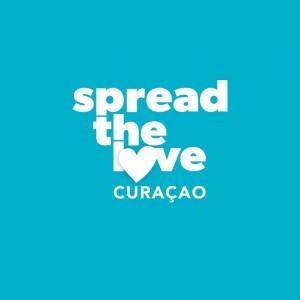 Spread the Love Curaçao a local movement shares this vision and has been actively spreading kindness on the island since 2015. Good Deeds Day is a global movement that unites more than 100 countries around the world in doing good deeds. Since 2007, millions of people and thousands of organizations and businesses worldwide have united together every year to do good. Spread the Love Curaçao has joined this global initiative and now Curaçao will participate in Good Deeds Day for the first time this Sunday, April 15th with two projects. A Beach Cleanup at Caracasbaai and a Plant for Peace at the Curaçao Zoo. Crossing all borders and cultures, thousands of businesses and organizations from more than 100 countries, including MTV Global, ABC Network Studios NYC, NASDAQ, Pope Francis, and many more have taken part. This year, 3 million people around the world are expected to take part in Good Deeds Day. For more information about how to register for the Good Deeds Day projects in Curaçao send an email to: spreadthelovecuracao@gmail.com.